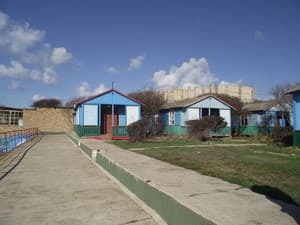 The recreation center "Polet" is located in the central part of the village. Nikolaevka, 50 meters from the sea. 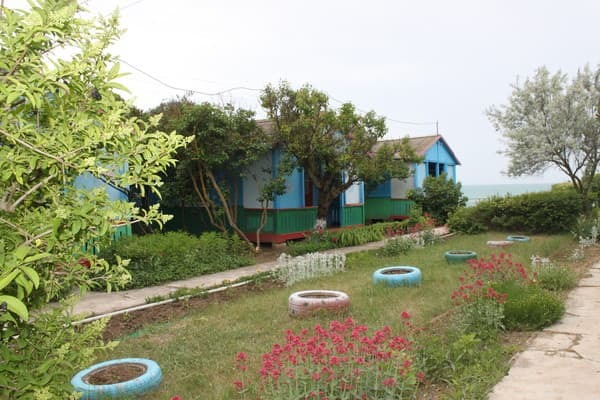 The abundance of trees, shrubs, flowers turns the recreation center into a small oasis right on the beach. The recreation center "Polet" is a wooden house with a veranda. 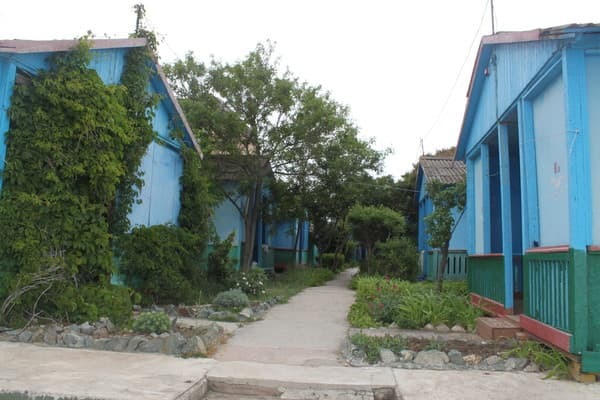 Guests are offered 2, 3 and 4-bed accommodation in wooden houses without amenities. In the veranda there is a fridge, a table and chairs. Free Wi-Fi is available. 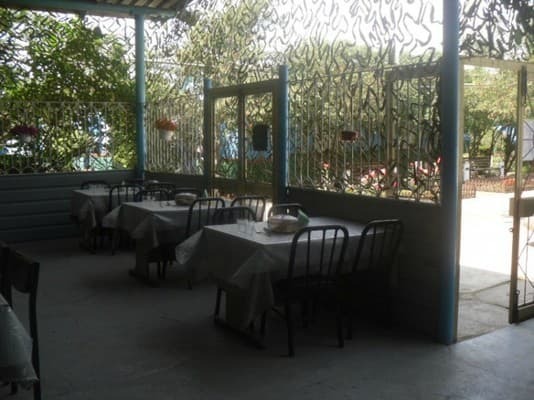 On the territory of the recreation center there is a dining room where guests can taste delicious food at home. Near the recreation base there are cafes, shops, bars. The distance from Simferopol is 40 km. PRICES MAY CHANGE, IT IS REQUIRED TO RECEIVE INFORMATION FROM THE OPERATOR. Description of the room: The room is equipped with 4 single beds. 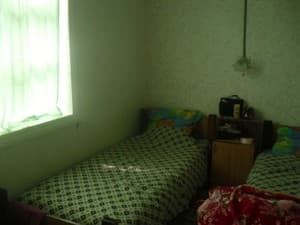 Description of the room: The room is equipped with three single beds. Children under 4 years are accommodated free of charge without providing extra space. The recreation center "Polet" is located in the central part of the village. Nikolaevka, 50 meters from the sea. The distance from Simferopol is 40 km. 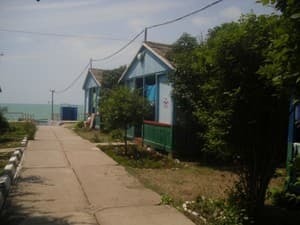 From the railway station of the city of Simferopol by bus or taxi to the village. Mykolaivka.